Add a full unified communication suite on top of your VoIP phone system, starting at $3.95 per month per user. The core set of communications tools businesses utilize for day-to-day communication. Calling, messaging, video conferencing and screen-sharing - all in one, wherever you are. 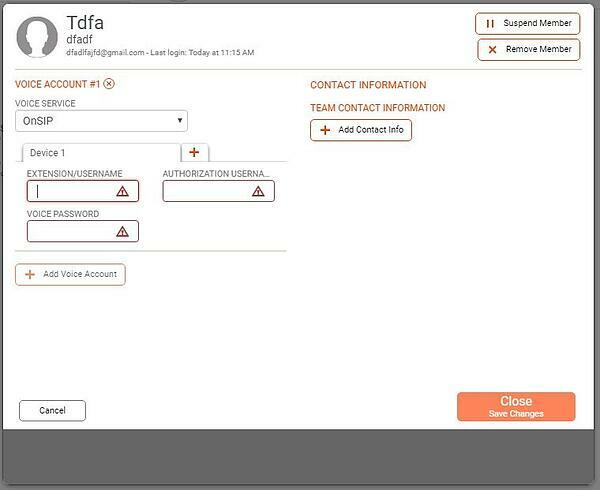 Everything you need for managing your team's communication is available in the Administration Portal. Manage users, devices and subscriptions in a single web portal. Support Center, Blog and FAQs - A wealth of resources to help you and your team to start communicating instead of being stuck on configuring. Start by creating an account with OnSIP by selecting the link: https://www.onsip.com/signup. Once signed up, enter the “Admin Portal”. From here, navigate to the “Users” tab. Create users by filling out all the information in the image below. Click into a user account. Look under “Phone Configuration”, you will find the unique voice configuration that you will be referencing later in the setup. Sign up with Bria Teams at https://teams.softphone.com/signup/. You will need an administrator account to access Bria Team’s main portal. 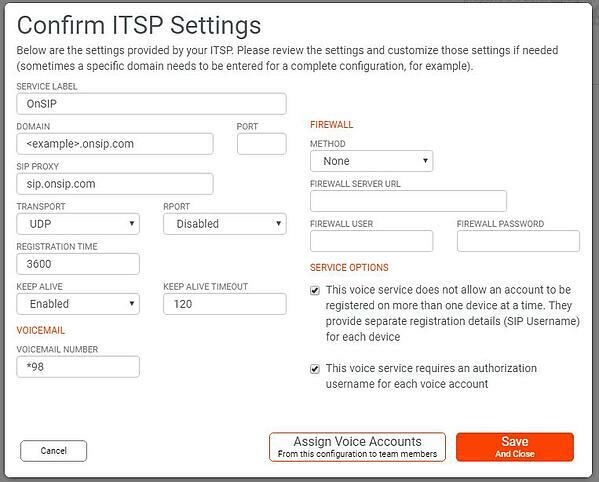 Navigate to the “Voice” tab, select the "Add Voice" button and select OnSIP as your voice provider. Referencing the “Phone Configuration” box in Step 3, fill in your SIP Domain. Save your settings and close out of the window. Click on the “User” tab and select the "Add User" button. Here, you will need to create users identified by emails and assign them the SIP extension lines you have set for your OnSIP Users. (Step 3) Referencing the “Phone Configuration” drop-down for each user, you will also find "Authorization User Name" and "Voice Password". When a user is added in Bria Teams, an email invitation will be sent. They will access a personal Bria Teams User Portal where they can set their login password and preferred contact information. Download links to Bria Teams will be available in both the portal and the initial invitation email. 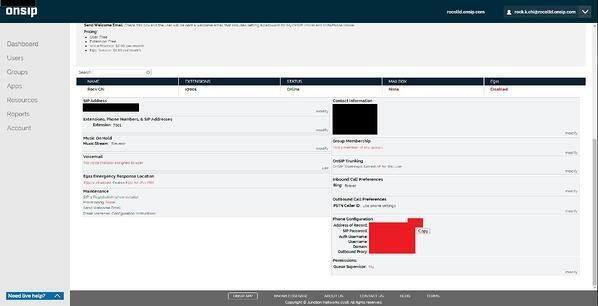 To start making calls, simply download, login with the set user credentials and calls are ready to go!